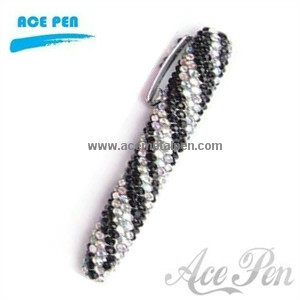 Crystal Metal pen with elegant design,produced by Swarovski crystal. solid brass barrel diamond-mounted with chrome trims,crystal parts decoring.High quality and noble design. Different colors of diamond-edged barrels are available.